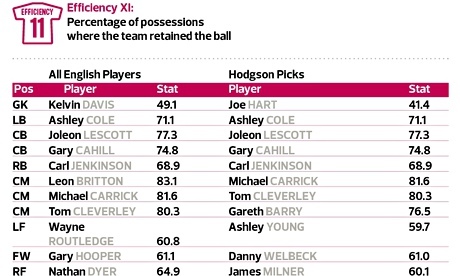 Manchester City has 11 people analysing players’ data, but will a tech-driven statistical approach squeeze out intuition? Why has David Moyes had such a horror show since taking over asManchester United manager last summer? From our armchairs, the diagnosis has been relatively straightforward: taking over from a legend is inevitably a fool’s errand; anyone replacing Sir Alex Ferguson was doomed before a ball was kicked. 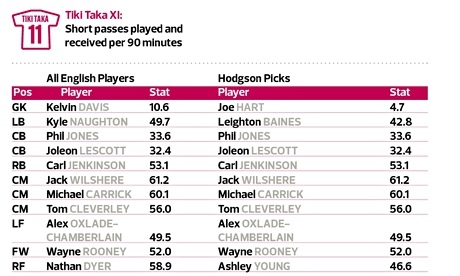 Moyes inherited a patchy squad with too few players at the peak of their powers. Or, if you want to be snarky, you might query Moyes’s credentials: he never won a major trophy as a manager at Preston North End and Everton and has now brought a smaller-club mentality to United, arguably the most famous football organisation on the planet. Moyes clearly has a different perspective on the crisis. While he is restricted to bringing in new players by two transfer “windows” – one over summer, the other during January – he can make changes to personnel behind the scenes whenever he likes. At the end of last year he overhauled United’s back-room staff. The arrivals included Robbie Cooke, Everton’s chief scout; Chelsea’s European scout Mick Doherty, who also worked with Moyes at Everton; and John Murtough, formerly responsible for Everton’s vaunted academy and latterly the Premier League‘s head of elite performance. His final “transfer” was James Smith, head of technical scouting at Everton. None of these appointments made headlines, but Moyes believes they could be crucial in unearthing the future stars of Manchester United – within the club and outside – and turning round his fortunes at Old Trafford. There has been a revolution in football – though it is one that even the most committed fans will only be dimly aware of. Clubs are becoming smarter, more efficient. We’ve probably all seen the graphics and statistics that pop up in newspapers and on shows such as Match of the Day: it began with counting corners and shots on goal, but recently the analysis has become more whizz-bang; not least speed profiling and heat maps, which plot a player’s movement around the pitch. But this is just a fraction of the data that can be collected during a match. Opta, a sports statistics company, records around 1,500 “events” from every fixture. We can’t be blamed for being perplexed. Take the match last month between Arsenal and Bayern Munich, which Bayern won 2-0. The following morning, the Guardian plucked out two statistics: Toni Kroos, the German midfielder, completed more passes than the entire Arsenal midfield; meanwhile, Arsenal’s Mesut Özil covered 11.69km, the third-highest distance on the pitch. What the stats didn’t say, but was blindingly obvious to anyone watching, was that Kroos was sensational and Özil had a stinker. These are simplistic examples, but they encapsulate a debate taking place at the highest levels of many football clubs. In one corner are the “quants” or quantitative analysts: they are admirers of the statistician and election-oracle Nate Silver; the Nobel prize-winning psychologist Daniel Kahneman; and especially Billy Beane, the star of Moneyball, Michael Lewis’s 2003 book about the data revolution in baseball. 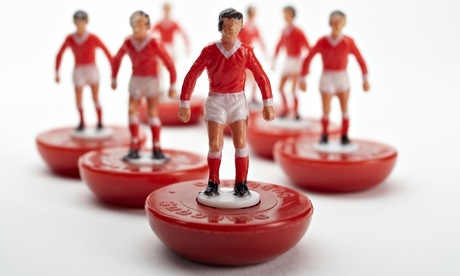 They believe that a football match can be translated into numbers and – much as a hedge-fund trader does with the stock market – those figures can be crunched and scanned for patterns. They don’t think intuition should be removed from the game but they have found that statistics are dispassionate in a way that humans never are. A decent place to start the investigation is Everton FC. As Simon Kuper, the Financial Times columnist and co-author of Soccernomics has detailed, no club in the Premier League has so consistently overachieved during the past decade. Under Moyes, they finished eighth or higher every season from 2007 to 2013. They’ve managed this despite being more frugal with wages than all of their rivals and not splashing cash on big-name transfers. Instead they achieved success by developing brilliant home-grown talent – Wayne Rooney, Jack Rodwell and Ross Barkley among them – and melding these players with unheralded stalwarts such as Leighton Baines and Leon Osman, who just happen to be statistical outliers. Baines, in fact, is something of an emblem for the data revolutionaries. For years, he was a solid, dependable left-back with an anachronistic mop-top, a perennial understudy to the flashier Ashley Cole in the England team. 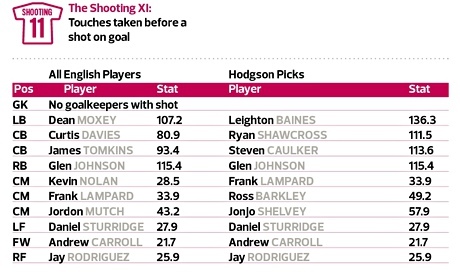 The stats, however, told a different story: in 2012, Opta identified Baines as the player who created the most chances in all of Europe’s top leagues. His crosses, which were 38% accurate, led to a goal-scoring opportunity every 21.6 minutes, figures that shamed better-known playmakers such as Manchester City’s David Silva and Arsenal’s Santi Cazorla. Before long, Baines was first choice for the national team and a transfer target for Manchester United (of course, though perhaps he was simply playing better and the data per se had nothing to do with it). With such an impressive record over the years, it’s hardly surprising that Moyes wanted to recreate the structure at Manchester United. Everton, meanwhile, installed Wigan Athletic‘s Roberto Martínez as their new manager. Martínez had his own reputation for performing above expectations: Wigan had been favourites for relegation from the Premier League every year since they were promoted in 2005; the club consistently had the lowest turnover and attendances in the top flight; their training ground was a converted working-men’s club. Somehow they survived – until last May anyway, though they had the consolation of defeating Manchester City to win the FA Cup. Much of Wigan’s resilience was put down to their progressive, young manager. Martínez was known for being obsessive about tactics. The Numbers Game, a recent book that examines the “datafication” of football, noted that he installed a 60-inch pen-touch TV screen at his home and hooked it up with player-tracking software from the performance analysts Prozone. He would watch matches, especially defeats, up to 10 times in order to make sense of what had happened. His response was often unusual and creative: while most teams favour the standard 4-4-2 formation, Wigan under Martínez would shuffle between 4-3-3 or 3-4-3 or 4-2-3-1. In short, he seemed like the perfect fit for a forward-thinking club like Everton. I meet Martínez at Finch Farm, Everton’s training ground on the outskirts of Liverpool. The facility is typically described as “state of the art”, but it is still a place where a tea lady will come round to offer you a cuppa and probably a biscuit if you ask politely, too. Martínez is flanked by two of his scouting team, Kevin Reeves and Steve Brown, and we all sit in Reeves’s office. There’s an iMac on the desk but it is devoid of personal effects and whiffs of fresh paint – it turns out the room used to belong to James Smith, until he moved to Manchester United, and Reeves is just settling in. Reeves was once the most expensive player in Britain – “the first £1.25 million man” back in 1980, he proudly notes – and he has followed Martínez from Wigan. At Everton, each player is tracked in terms of four “corners”: technical, tactical, physical and psychological. Data is crucial for assessing the first three categories. On a very basic level, a company such as Opta or Prozone provides multi-camera footage of a player’s actions during a match and coaches critique his performance: perhaps they would like him to play more short passes, or – a signature of Martínez’s teams – retain possession more assiduously. Detailed feedback will start in some clubs from the under-nines upwards. “You’ve got so many facilities to look at an individual’s performances and you can single out one aspect of his play and measure it – that’s significant,” he says. “That’s unbelievable.” Meanwhile, a pair of analysts will be preparing dossiers on the Everton first team’s forthcoming fixtures: watching half a dozen of their opponent’s previous matches and combining these findings with existing data from Prozone. On the recruitment side, Reeves and Brown liaise with 10 scouts across Europe, who work exclusively for Everton, and keep an eye on the ProScout7 database, which has profiles on almost 130,000 players in more than 130 countries. Martínez is not the first to make this point and, in one sense, he is making a distinction between “stats” and “metrics”: statistics, on their own, are often meaningless, but through systematic analysis, they can become metrics, which might offer a more revealing measure of a player or a team’s performance. Still, it is a surprise to hear Martínez taking this line. Aged 40, with a postgraduate diploma in business and marketing from Manchester University – attained while he was a player at Wigan – you might expect him to be a passionate advocate for analytics. The Numbers Game describes Martínez as a “hero” and its authors, Chris Anderson and David Sally, devote a chapter to his work as Wigan manager, which they approvingly call “Guerrilla Football”. The Everton manager is especially scathing of using data to identify transfer targets – the Moneyball dream of unearthing players whose utility might not always be immediately obvious. There is the famous story of Arsène Wenger signing Mathieu Flamini (the first time) partly due to a statistic that showed he ran 14km a match. 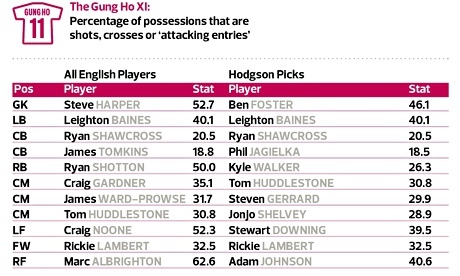 Or Liverpool, under their then-director of football Damien Comolli, who spent heavily in 2011 to acquire Jordan Henderson and Stewart Downing, ostensibly because their “final-third regain” percentages – how often they recovered possession in the opponent’s penalty box – were so high. The work of Reep and Lobanovskyi inspired a man you might not expect:Sam Allardyce, now manager of West Ham United. As a player, Allardyce spent the 1983 season with the Tampa Bay Rowdies in Florida; he made only 11 appearances, but the team shared its training facilities with the Tampa Bay Buccaneers NFL squad and he was intrigued by their preparations and that sport’s infatuation with statistics. When he became a manager in the early 1990s, he wondered if he might introduce a similar model, but first he had to wait for the technology to catch up with him. McLaren, who would move on to coach Manchester United and then manage England, and Allardyce, who by this time was manager of Bolton Wanderers, would become Prozone’s earliest and most devoted customers. For Big Sam in particular, the new software was addictive: he hired a team of young sports-science graduates and used the video analysis to mould Bolton’s style of play. They calculated that any team that ran further and faster than their opponents would win or draw 80% of their matches. Their players relentlessly practised throw-ins, corners and free-kicks – targeting “pomos” or positions of maximum opportunity – and scored around half their goals, far above the league average, from these set-pieces. Allardyce stitched together a team of misfits, old-timers and foreign mercenaries, led by Gary Speed. When he arrived on a free transfer in 2004, Speed was 35, but his stats – 12km a game, a pass-completion average of above 80% – suggested he could still be useful. He became a talisman for Bolton for the next four seasons. Big Sam’s Bolton defied logic: they finished in the top eight of the Premier League every season between 2003 and 2007, and twice qualified for the Uefa Cup. But “pomos” did not enter the lexicon of the data revolution and many of his ideas now seem outdated. Allardyce remains committed to metrics, but his greatest contribution to the movement might just be the people he inspired. Bolton alumni now head the analytics departments of the most ambitious clubs in world football: Ed Sulley is head of performance analysis at Manchester City, while Gavin Fleig is City’s head of technical scouting; Dave Fallows is head of recruitment at Liverpool. These men could be just as influential in shaping the future of their clubs as the managers, Manuel Pellegrini and Brendan Rodgers. Chris Anderson, author of The Numbers Game and a political scientist at New York’s Cornell University agrees. “Incentives are incredibly important,” he says. “The right incentives in my mind are the ones that keep this club healthy beyond next Saturday and perhaps beyond this month and even beyond this season. The place where a manager has a long tenure – like David Moyes at Everton and Arsène Wenger at Arsenal – that person’s incentives for themselves and for the club are reasonably closely aligned. But, the world we live in, sometimes that person isn’t the manager.” At a certain point, however, Allardyce’s Bolton protégés, the men now driving the use of data analytics in British football, hit a wall: they were sports scientists, not mathematicians. This frustration waseloquently expressed by James Smith, then still at Everton, at the Elite Minds in Sports Analytics Summit held at Arsenal’s Emirates stadium last November. It can be a lonely business being a quant in a football club, and the three-day seminar – with presentations by everyone from YouTube to the performance director of British Bobsleigh – fell somewhere between a show-and-tell and a self-help meeting. There are, in fact, some whip-smart mathematicians working in English football, but, because of the traditional approach of most clubs, they are more likely to be employed by a betting company or a data generator such as Prozone. In an attempt to address this disparity, a fascinating initiative was launched by Manchester City’s Gavin Fleig in August 2012. Called MCFC Analytics, the club released a large archive of data collected by Opta from the 2011/12 season. It was an “open source” call to arms for bloggers, PhD academics, anyone with an inquisitive mind and an interest in football who wanted to mess around with numbers. MCFC Analytics ended after a year and it’s hard to determine if it was a success or not. The interest was certainly there – more than 1,500 users accessed the information in the first 36 hours – but there was criticism of the “basic” dataset that was released. Dr Howard Hamilton, chief executive of an Atlanta-based consultancy firm Soccermetrics Research, who holds a PhD in aeronautics and astronautics from Stanford University, described it in a blog as “woefully inadequate”. Du Sautoy believes we should look at the football pitch as a network, with channels connecting the 11 players – “It’s like a mini-internet!” he exclaims. A successful team – Barcelona are the perfect example – has a special ability for keeping these connections open, but there’s no reason why all teams could not analyse the dynamics in a more theoretical way. Du Sautoy also thinks that coaches would benefit from a greater willingness to think outside the box, so to speak. He uses the example of a free kick: why does the defending team always line up with a wall in front of the kicker? Perhaps that is the most effective way of blocking the ball, but they could test the hypothesis more methodically. If data is to have a greater influence in how football teams are run, it is likely to be at the instigation of the club owners – such as Liverpool’s John W Henry, who made his fortune on the stock market and whose other team is the Moneyball-inspired Boston Red Sox – rather than the managers. Players, too, might also demand it: at the Elite Minds summit, Ben Smith, head of development performance systems at Chelsea, explained that young players – such as Eden Hazard – had grown up with data and constant feedback and now expect it after every match and training session; this contrasted with the older generation who can often be more entrenched. Anderson recently floated the idea that a Premier League club could reduce its squad from 25 players to 24, and use the savings to employ a handful of maths graduates, who would doubtless earn less in a year than some players are paid for a week. No one seriously expects any club to take up the suggestion. At Finch Farm, I ask Martínez if he is envious of Manchester City’s 11 analysts, working behind the scenes to plot their next opponent’s downfall. Sitting in the stands, fans will likely stay, at least partially, in the dark. When a substitute comes on and scores with his first touch, do you credit the genius of the manager or the calculations of his performance analysts? In the moment – particularly if you’re a Manchester United fan – you’ll probably be too ecstatic to care.